As you may have guessed I’m a massive fan of breakfast parfaits! 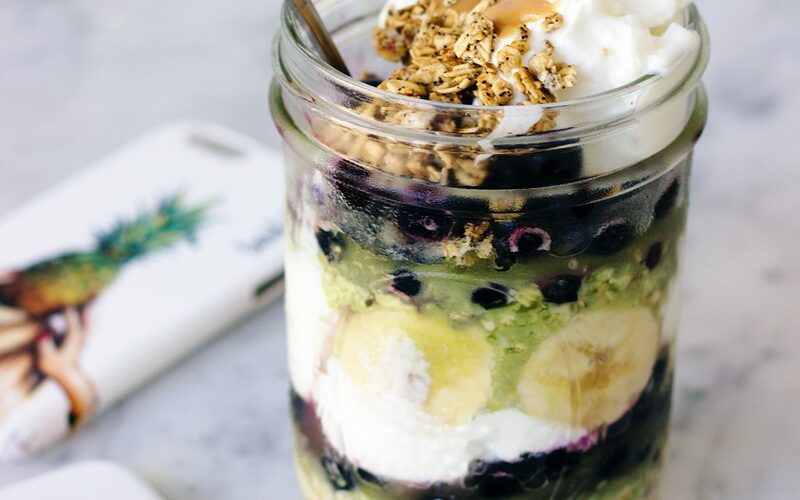 Below is the recipe for my matcha oats and blueberry layered jar. ALSO if you follow me on Instagram you would have noticed my latest posts about iPhone cases! I was super excited when I realised I could make iPhone cases with my own art on them! I used http://www.caseapp.com !! On this site you can either choose from existing designs or create cases using your own art! If you want to give it a go I received a 20% discount code for you to use! The code is “TASH20” and it can be applied to anything you like on the site including laptop skins etc.